Forgot your at&t voicemail password and you’re looking for a way to reset it? Here is a simplified tips on how to Reset At&t Voicemail Password. It takes into account the top 3 ways to easily reset At&t Voicemail Password in just a few clicks. For reference; AT&T Inc. is a first-class communication, media, entertainment, and technology company. It acquired the famous Time Warner media company and is working towards building a top-class media firm that will generate the greatest entertainment and communications experiences in the world. In today’s article, you’ll learn how to reset AT&T voicemail pin/password. I’ll focus on the three different ways to reset your at&t password/pin in just a few clicks. Dial *98 from the home phone. OR, if you’re afield from home, dial your home number and press *. Input the PIN you assumed to be the correct PIN and press # (if asked). After three (3) failed attempts, you’ll see an option that reads “Forgotten PIN“? click on it and follow the on-screen prompts that will appear. You’ll hear a prompt to reset your PIN. When you hear this, press 1. Enter your 8-digit authentication code which you created during the first setup. You’ll have to enter it two times (2x) as the system demands. You’ll be asked to create/enter a new PIN if your authentication code is correct. You have successfully changed your PIN/Password. This method requires the use of your 8-digit Authentication Code before you can successfully reset and create a new voicemail PIN. On your smartphone, sign-in to your AT&T account using the myAT&T app1 or via the AT&T official mobile website. Click on My plans and features. Next action is to ==> click on manage phone features and settings. Now, select Voicemail PIN and activation. Click on the Create or Change PIN option. Enter your new PIN and save your changes. This method requires that have the AT&T mobile app installed on your smartphone. Locate the option “My Plans”. It is at the left side of the window. Click on the Voice Features link on the right side of the screen. Find and click on the Voicemail Settings tab (it is at the Far right side of the screen). On the General Preferences option, click on the arrow beside the “Change PIN” option. Input your new PIN and confirm it by entering it again. Now save and exit to complete the pin change action. 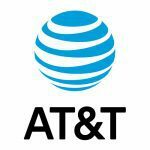 The AT&T voicemail PIN (Personal Identification Number) is related to a password; it must be entered before you can retrieve voicemail messages. Normally, by default, voicemail comes with a 6-digit PIN which is usually the last six digits of your account number. Please do change this PIN to ensure the safety and privacy of your account. I believe that this short tut. of mine with help anyone that’s looking for best ways to change or Reset At&t Voicemail Password without hassles. Feel free to ask questions or give more tips on the best ways to change, update and/or reset At&t Voicemail Pin.